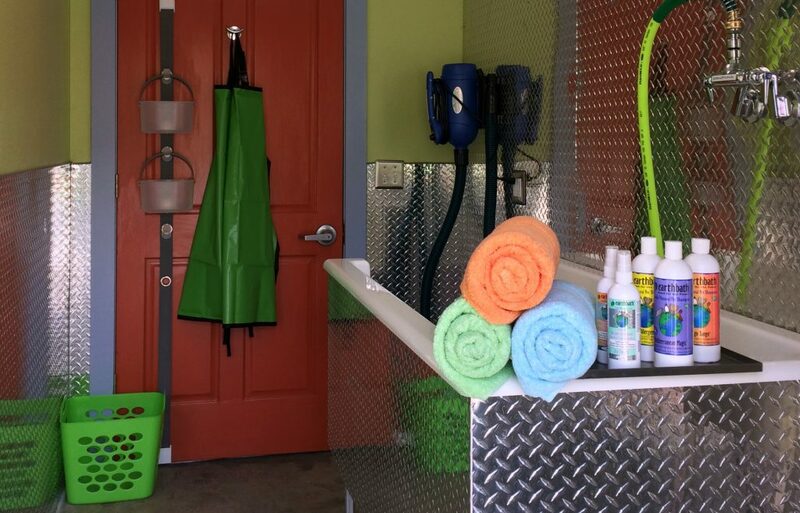 Canine Connection offers a unique, self-service dog wash station. Includes the use of our aprons, towels, dryer, brushes, Earthbath™ shampoo, cologne, and ear cleaner for up to 30 minutes in the station. No Appointments needed. First come first served. Open Daily. 8am – 7pm. Full service grooming is available at our Canine Culture grooming salon located in our retail building. Canine Connection offers baths and basic services seven days a week, please call (504) 218-4098. Extra Time $3 / 10 min. $2 Discount with your own shampoo. Dogs must be up to date with vaccinations. All dogs must be accompanied by a human 16 yrs. or older. All dogs must be on leash wile waiting in the store or patio.